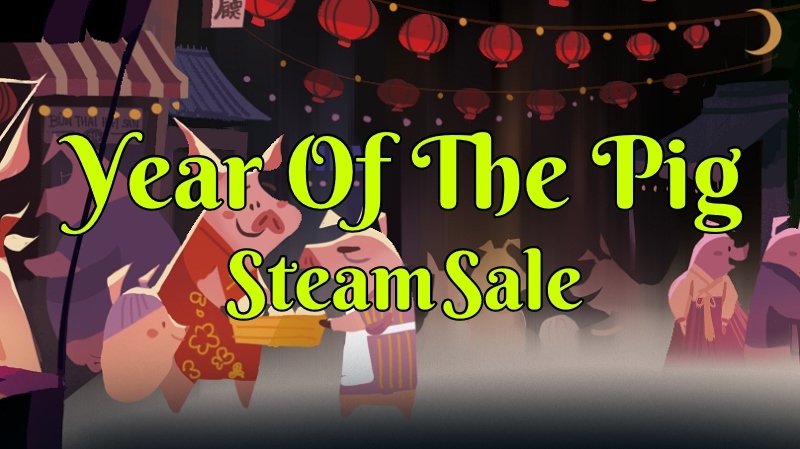 Steam’s Lunar New Year Sale has kicked off today in celebrating the year of the pig. Certain products including a “focus” on chinse developers are now on sale till February the 11th. Along with some old favorites like Skyrim and The Witcher. They have added some fun in the form of opening a red envelope that contains tokens and having a limited time shop to use them in. 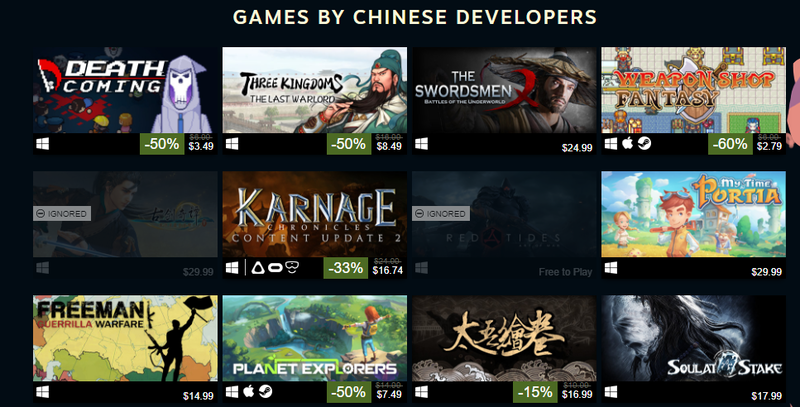 While they are focusing on chinse developers many games that where a little too new during the holiday sale might now be at a slight discount. For instance, Egosoft’s X4 Foundations is now at 10% off for $44.99. Storewide there are over 27,522 discounted products. While many are not as amazing as there holiday sales where you can still find a few between 33% to 75% off with many appearing at around 50%. More about the sale can be from the Steam store. Note that while they are focusing on chinse developers and publishers many of them are not even on sale. In fact, the recommended section that contained for me twelve games only had five at discount as low as 15% off. Perhaps this is an area they need to work on unless they want other platforms like the up and comer Epic Games to eat their lunch. You would think they have more discounts listed for what they are focusing on. At least the good news is during the sale they are offering a special $5 off your first purchase of $30 for certain purchases (1). With a restriction on gift purchase, not counting. In addition, if you happen to find yourself with 15,000 tokens you can acquire another $5 off coupon. Which should help offset some of the lackluster sales going on. I’ll admit outside of X4 foundations I’m not seeing anything yet that I’m really interested in. In fact, I might even wait longer for X4 to become cheaper and see how it's fairing by the Summer Sale. I have a bunch of games and reviews I need to get around to anyways. So anything I get now will just sit and wait. Some games that are on discount that I’ve had fun playing are the Witcher Wild Hunt, Grand Theft Auto V, Skyrim, [7 Days To Die] https://steemit.com/sevendaystodie/@enjar/7-days-to-die-alpha-17-what-are-you-most-excited-about ), Ark Survival Evolved and Wurm Unlimited. If these sound familiar it is because they seem to take advantage of being on discount when a sale like this rolls around. They are getting a bit old but still great. In an attempt to gamify sales they have included the ability to earn and spend tokens only during this sale. 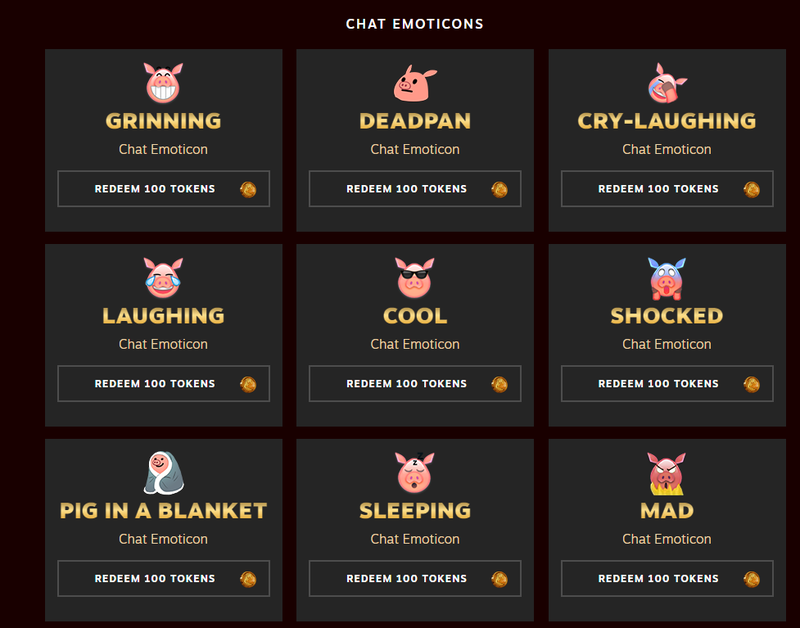 They are under the use them or loss them so you might as well pick up some pig emoticons if you have nothing else to spend your tokens on. One of the more cooler things is they are offering a bonus of 11 more tokens per dollar spent if it’s for gifts. Keep in mind these coins cannot be transferred. With a normal purchase earning 100 tokens per $1 spent (2). So what can you even buy with these tokens other than the aforementioned $5 discount and chat emotions? The badge, golden profile, and a couple of backgrounds. I think it’s great you have the ability to pick and choose what you want instead of dealing with RNG to get stuff you might not have wanted in the first place. Stuff like the emoticons are only going for 100 tokens while getting the golden profile is 4k and an extra 12k tokens to make it last for a year (2). They also give you a red envelope that contains some token in it as well. I think for myself I’ll be picking up the badge for 2k tokens and waiting to see if I make any punches before picking up some emoticons. That seems to be about it as far as free tokens go. You don’t even get any for doing your discovery queue. Wake me up when it’s the year of the cat which apparently is not a thing. Looks like I’ll be enjoying a long nap. Enjoy the year of the pig. Do you plan on buying anything or is the sale a bit lackluster for you? Screenshots were taken and content written by @Enjar. Screenshots are from the Steam Store.